An Interesting conversation came up in the BurningDanCon chat this evening (more to come on what BurningDanCon is later). when I remembered an article i was reading about one of the biggest problems with with co-op games like Pandemic, Arkham Horror, Forbidden Island (which is a big hit with The Little gamer), Forbidden Desert, and to a lesser extent Shadows over Camelot. You should read the article in question here (https://www.kotaku.com.au/2017/02/games-i-will-never-play-again-pandemic/) for a nice reason on why these games can be problematic. In short the problem comes with more experienced, assertive, and/or knowledgeable players who have (or think they have) a good strategy in mind for the game being played that they want to direct or quarterback the other plays to. Usually it can be great in certain instances for one player to help coordinate the team (or players) to come together and form a cohesive strategy to defeat the game. This makes sense! How else can you win if your not all working to achieve one goal and solve the problems?! The problem comes when it feels like the one player is directing everyone else’s plays at the table and there is not an equal level of participation around the table. I’ve certainly been in that position before (honestly only once i can remember, we’re all pretty Alpha at times), not wholly the fault of the other player (Hello Whiskey), but it can be incredibly frustrating when you are and it feels like you are just an extension of another player turn. That being said, i do really enjoy Pandemic. While we’ve only won a few games of it around our table, we’ve always had a great time playing it. We’ve also played a few “Months” of Pandemic Legacy Season 1, and have failed every single time. N just recently got Pandemic for his BDay so lets hope he’s practicing and getting some good strategies for our next go round. 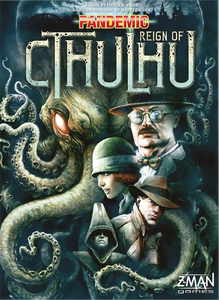 Another variant of Pandemic that we have in the library is Pandemic: Reign of Cthuhu. Me and my gaming Bro Dogs were originally brought together by work. Actually besides work we were originally brought together by playing the table top RPG Call of Cthuhu. So this alternatively themed version of Pandemic was a big hit with our gaming group. It also helped that we won on our first play through. I also recently picked up a copy of The Captain is Dead, another Co-Op game in the same style and with many of the same mechanics as Pandemic. Thematically The Captain is Dead hits more buttons for me then Pandemic or even Pandemic Reign of Cthulhu. I’m more of a Sci-Fi guy, and a huge star trek fan. This game is basically an episode of the late 60s TV show, but with the captain dying instead. It even includes a “Red Shirt” character that is easy to kill but respawns (as another “Red Shirt”) on the next turn! The Captain is Dead includes a count down deck, which tends to make bad things happen, and good team combos to boost and encourage assisting fellow players. I was drawn to it initially more for the nifty artwork. See below I think the box art is great not to mention the board and character models. 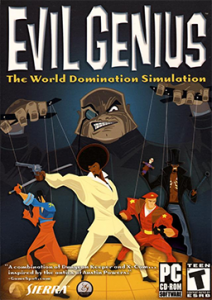 It really brings out a 60s/70s era vibe, (which makes me think of an old video game with similar art style, Evil Genius. Before i derail this post too much further, I’d like to just come back to the issue of the Alpha Gamer again before closing up. 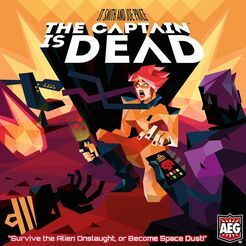 In reviews I’ve read of The Captain is Dead they mention the Alpha Gamer problem as well, so I’m curious to see how it plays out. 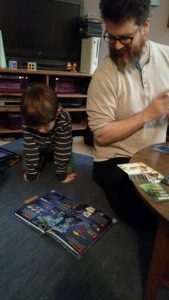 One nice thing about the Alpha Gamer conundrum is that it allows games like this to be easily played solo, something that works well for me being out in Western Maryland and with 2 kids. Just play as 2 or 3 different characters and use the normal 3 player rules. Keeping track of the different hands is as easy as laying them down in rows so you don’t get confused. This is a strategy i picked up playing the Dresden Files Cooperative Card game from Evil Hat which i really enjoy. For Pandemic in particular i think playing the rules as written with not exposing your hand really helps to mitigate the potential of someone becoming the Alpha Player. Yes you can talk about what cards you have but through that communication the possibility of cooperation and shared ideas really starts to shine through. I think most play throughs where I’ve run into this problem we’ve always played with our hands exposed, allowing someone to step in and really take over a game like they would if they were just running 3 or 4 characters at the same time. For those of you out there how do you deal with Alpha Players? 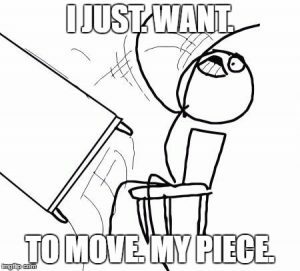 Are there some games you find are more susceptible to this phenomenon? Do you specifically avoid games to combat this? Let me know! Drop me an email or comment below! Finally as part of my theme for my new blog my drink pairing for Pandemic. A nice thing about an Alpha Gamer is he takes away all responsibility on you to contribute if you don’t want to! He’s kind of like your Designated Driver when you’re playing. So If that’s the route you are going, hit the hard stuff. Some whiskey, some run, maybe some shots of tequila. All are good ideas. From a beer perspective break out a double IPA and go to town. 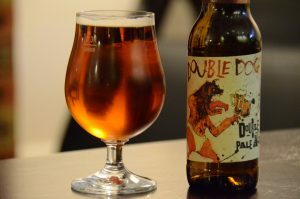 Living in Maryland I’ll recommend the Double Dog IPA from Flying Dog. Now for me, I’d probably go with a nice mid range IPA. 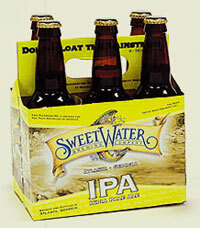 I’m really enjoying the Sweet Water IPA right now and if your on your first or second you probably have enough cognitive function to contribute. If the game gets out of hand or you got some slow play going on, kick into number three and let the Alpha take over. 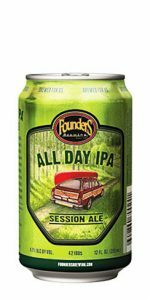 If you are the alpha, stick with some diet coke, some bud light, or maybe a nice session beer like an All Day IPA from Founders. Good stuff. At other games, we’ve tried all of kinds of tactics to make sure everyone gets their turn. I don’t believe in the concept of there being an alpha and non-alphas. I think what were experiencing is simple child psychology, the one with the most confidence leads by default. Sometimes, a player just really has a strong sense of what he wants to do and it only becomes a problem when that player doesn’t consider working in a group. Sometimes, the group doesn’t do what you want to do and you can either be cool with that and possibly be bored while something else happens or you can not be cool. I’m lucky that in all of my current gaming groups everyone is cool and if I have no clue what to do, someone else usually has the confidence to think of ideas for what to do next. I agree wholeheartedly that it is the responsibility of the GM/DM/Judge/Keeper to make sure that there is balanced participation and engagement around the table. Reading Robins Laws of Gaming (something i highly recommend for new and old GM’s) he talks alot about making sure everyone is involved. 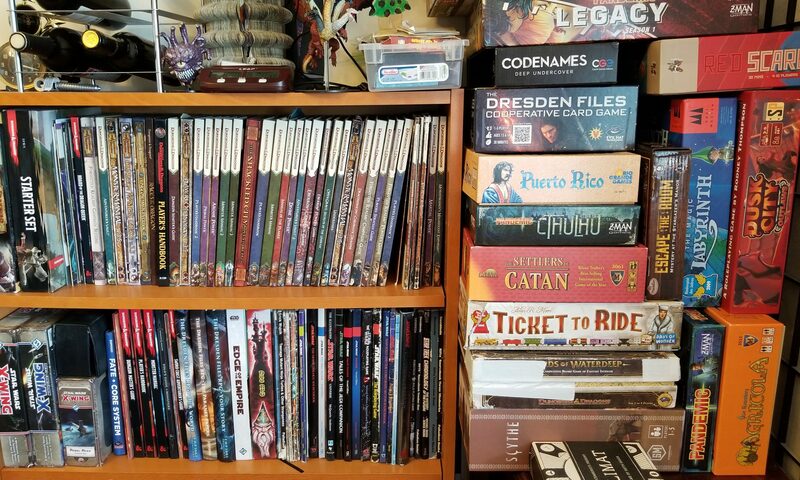 BUT I think there is a difference in looking at an unstructured RPG like D&D, DCC, or CoC , and a co-op Board Game. With a Co-Op board game the board/game itself is the GM and there is no one to referee the game an insure that everyone is participating or engaged. Previous PostPrevious Welcome to my new Gaming Site!